Fall is upon us complete with its wonderful colours and the different seasonal foods that make this time special. Not just a time for Thanksgiving and Halloween, there is much to celebrate when the leafs begin to turn and several festivals around the United States that do just that. From coast to coast, smaller American towns are putting on Fall Festivals and this article looks to highlight some of the best to choose from. 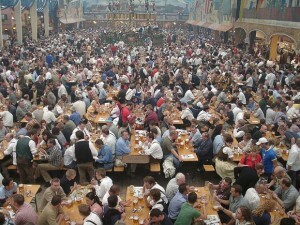 Fall has always been known in Germany for Oktoberfest… while Oktoberfest has come to Cincinnati as well. From September 20th to 22nd Fifth Street of downtown Cincinnati becomes the scene for plenty of live music, drinking, eating, and dancing. 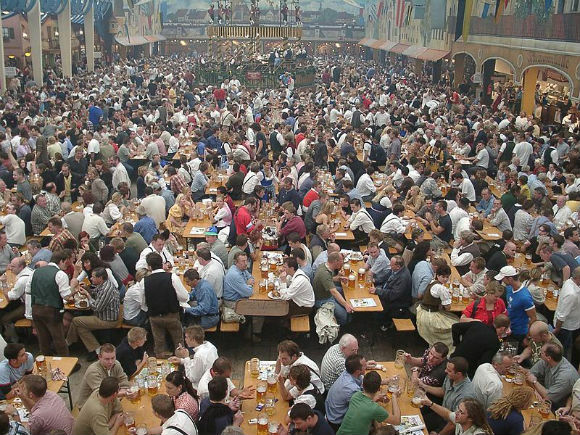 With more than 500,000 people in attendance a massive amount of German cuisine is needed – upwards of 80,000 brats, 3,600 pounds of sauerkraut and 2,000 pounds of German potato salad. Come here to eat, drink some good German beer, and be merry. Every year around 75,000 people head to Louisiana to honour one of fall weather’s most beloved ingredients – the pecan. Hosted in Cofax, Louisiana the 44th annual Pecan Festival kicks off on November 1st and has three days worth of pageants, dancing, parades, and pie eating contests. Beyond these centre piece attractions of the event there are also pecan cooking competitions and an antique tractor show as well as plenty of local crafts for sale and free live music. Each year Arentsville, Pennsylvania is the home to the National Apple Harvest Festival. This festival has been going on now for 49 years and includes varied apple treats like pies, cider, and apple butter. There is also a BBQ going on too, but still the real star is the apple as there will be bake offs, apple bobbing in a barrel and pie eating competitions. This year the festival will be held on two weekends, the first on Oct 5, 6th and the next on Oct 12th and 13th with admission being $9 dollars for adults. The Santa Fe Festival adds a nice southwestern spin on autumn foods. Situated at Rancho de las Golondrinas this two day long festival plays homage to the regions history and different cuisines. People visiting will have the chance to learn to make tortillas and learn about stomping grapes to make wine and juice amongst other cooking demonstrations. The experience can also be enriched by watching various traditional dance sessions and booths show casing traditional Mexican fashion. This festival takes place on Oct 5th and 6th and costs $8 dollars for adults, $5 dollars for teens, with kids under 12 being free.